Wonderful Extensions is a UK registered, fully insured Limited Company established in 2009 in London. We are committed to providing an outstanding, continuously awarded 5 star customer service and exceptional virgin hair of purest and highest quality. We use YSH Hair exclusively. Exclusive to them is a secret formula of Bio Bonds will ensure your own hair grows healthily while you have extensions in. 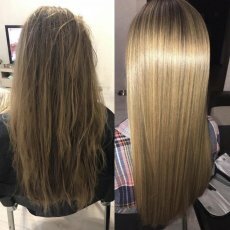 Truly innovative system of keratin bonds infused with Biotine allows extensions to be fitted in just under 3 hours and removed just by crushing the bonds in under 45 min. Hair and bonds are ready to be fitted again and reusable many months. No other company or system offers such a small reusable bonds that are removable without the need of removers in non damaging way. We specialise in Virgin Hair and offer 2 EXCLUSIVE ONLY TO US methods of application. Our dedicated team, impeccable quality of hair and fitting and personal, caring customer service is what makes us one of the best. As in the message we want to convey with our logo we implement it in the approach to everything we do. We are FOCUSED on delivering. We aim for ARTISTRY for each and every customer is special. Your Signature Hair aftercare after fitting is still our responsibility, we will always be available to help and advise. 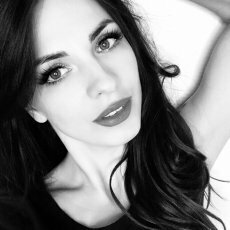 Certified, ethically sourced Virgin Russian and Virgin European Hair. Exclusive to us Bio Bonds System, New Non damaging method of application. 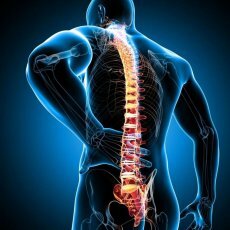 Bio bond stands for the smallest bonds available on current market, infused with biotine. Secret formula has been created for us by italian keratin supplier in Milan. Discreet, elegant and virtually undetectable. NO other method allows the hair and bonds to be reused in such a simple way. NO other method allows non damaging removal without the need of using removers. NO other method will contribute towards the hair growth. 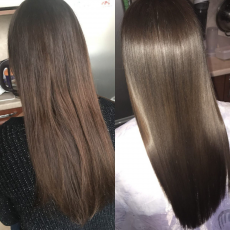 Our organic keratin bonds are the best choice for fine hair. KERATIN is a protein and it will help your hair to grow. Bonds are infused with Biotine for nourishment and protection. Only 160 degrees is enough to melt the tip and roll it into tiny little bond. Glue will not melt in 160 degrees. Glue will need acetone to get removed. We remove our bonds just with pliers by crashing them so they are ready to be used again. 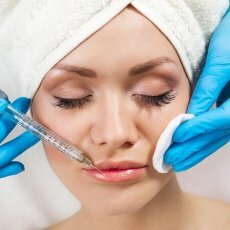 Our little tubes are another method in we offer. Just 3mm small .Flat and discreet. Preference of the method depends on the person. 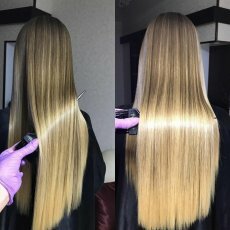 VIRGIN HAIR due to its virgin drawn structure will always feel light. 150 grams of double drawn hair and 150 grams of virgin hair feel completely differently. Virgin hair's weight is distributed another way on the strand. 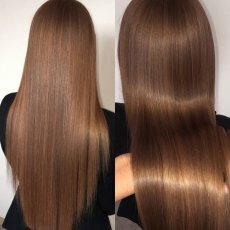 Hair is cut of ponytails where natural layers have been retained so after application extensions look natural and feel weightless. 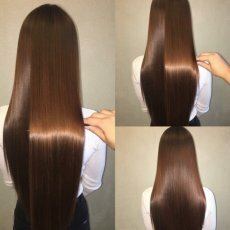 Our hair and methods are truly wonderful and long lasting. After application you will need to come back after 3/4 months for your maintenance. Hair needs to be removed and reapplied. Innovative system of Bio Bonds will truly surprise you. Bonds can just be crushed and pulled down retaining their rounded shape. 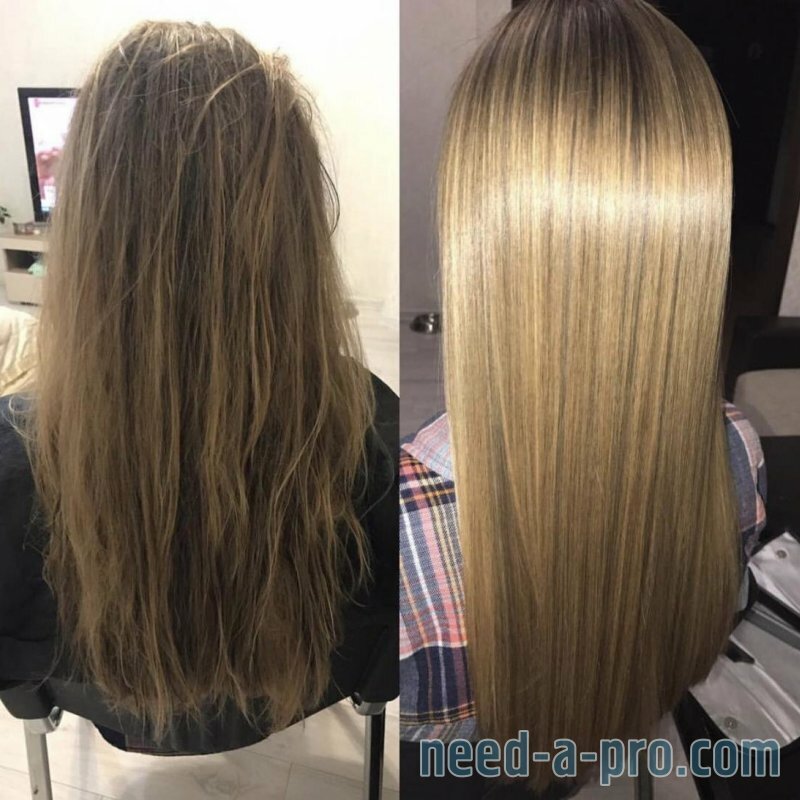 Keratin grain is used to reapply the same strand and the same bond without the need of shortening the hair. Maintenance of our Bio Bonds will take 3 h ish. Its only required every 3/4 month and within this time the loss or shedding is next to none. We source our hair in Eastern Europe countries like Lithuania, Spain and Italy. Our Russian hair is from northern parts of Siberia where weather is cold, diet rich in healthy fats and free from additives. Our hair can last up to 2 years with correct maintenance. With the elite collection of blends of different colours our shades are natural and hair will never look fake. 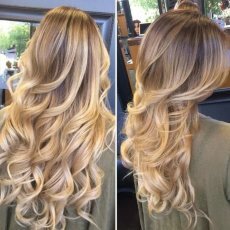 You do not have to ruin your hair with bleach anymore to create highlites and ombres. Our double coloured piano and mixed colours will help to create balayages of any kind. No acid baths, no silicone, pure virgin shades. Following the success of our Russian Hair Line we have released our own brand of Virgin Hair named simply YOUR SIGNATURE HAIR/YSH to underline bespoke nature of this product. Now with over 11000 Instagram followers, 5 star Facebook rating and excellent reviews from top salons worldwide YSH became one of the leading brands of hair suppliers. 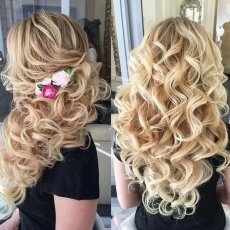 Here at Wonderful Extensions are more than anything PROFESSIONALS. We believe in responsibility towards the customer, loyalty and gratitude. In the age of social media You do not need more friends but you do need company that cares for your business, that respects your business keeps its standards high for you. You can count on us, This is our promise. Our has two partners Caroline and Ursula and four staff members Anette, Greta, Anne and Kate. Amongst us we have over 65 years of experience,3 Master's Degrees and we speak 6 languages. We believe in loyalty towards women and that instead of competing we should raise each other up. If you are looking for a professional company where principals, honesty and customer are priority you have come to the right place. With our 3 hair types available for you to chose You can decide. Mobile service its possible within 150 miles of London.